Splendid springtime is here again, with flowers blooming. The daffodils on the banks of the city walls are so often photographed, but of course the jolly yellow loveliness isn’t confined to there. 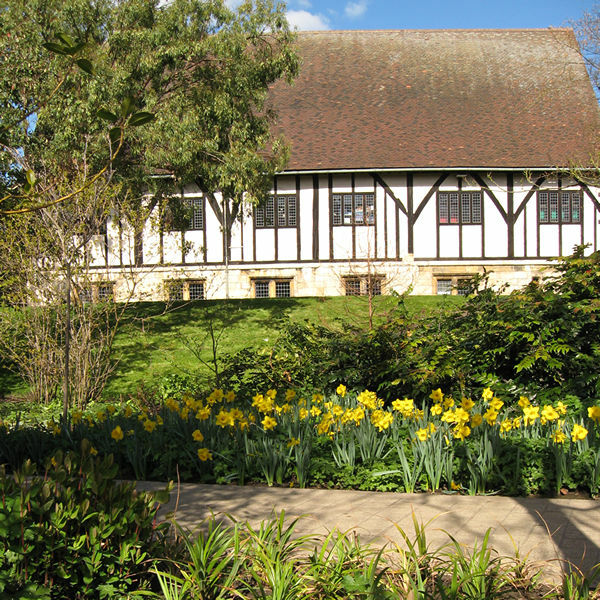 Here’s a photo of the hospitium in the Museum Gardens, enhanced by daffodils. 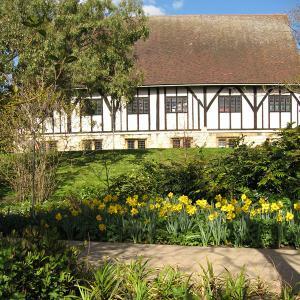 The Museum Gardens are looking better each year, as so much work has gone into updating and revamping the planting. It’s a great place anyway, of course, but the remodelling of it – particularly the recent work in the area around the observatory – increases its handsomeness. Just wanted to say thanks to everyone who has added comments on these pages or emailed me in recent weeks, particularly with regard to the launch of the York 800 York Stories. After the recent phase of daily updating, and the hassle of the ‘York Stories turf wars’, I’m going to have a break from thinking about York Stories – mine and theirs – for a few days. Hope everyone has an enjoyable Easter break, and gets to enjoy the spring flowers, the fresh emerging greenery, and the birds singing. By Lisa @YorkStories • 6 April 2012 Miscellany To link to this page's proper location please use the > permalink. You too Drake,always savour your cryptic ,economical,direct inputs.